HBO has released the first trailer for their upcoming documentary, Robin Williams: Come Inside My Mind. I had a chance to see this film at Sundance earlier this year and I absolutely loved it! It was such a wonderful and intimate look at the life of Robin Williams, it offers insight into the kind of person he was, and what made him tick. I've been a fan of Williams ever since I first saw him in the classic 80s sitcom Mork and Mindy. Like many of you, I grew up with Williams in my life and I always rushed out to see his movies. It was shocking to learn that he had killed himself. This is a guy who just brought so much joy, laughter, and happiness into people's lives. Who would have known the things he was struggling with. This doc dives into these things and it's filled with all kind of emotions. The movie offers a fun and entertaining look at the beloved comedian that will make you laugh, but it's also pretty heartbreaking. If you've been a long time fan of Williams, this doc may have you in tears by the end of it. 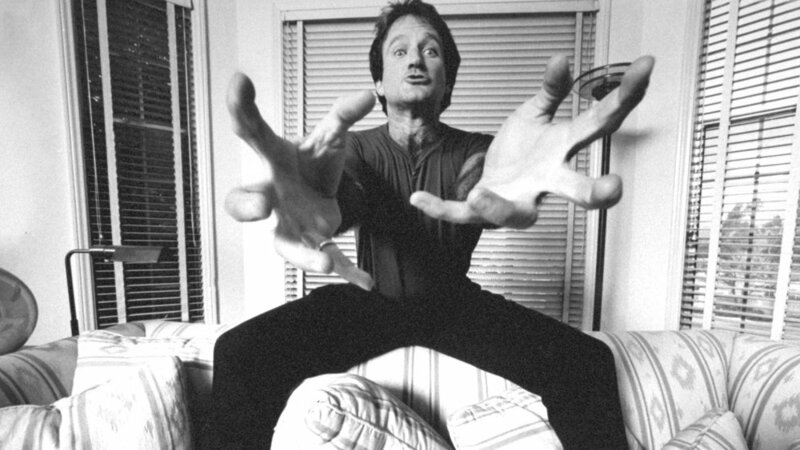 When David Letterman saw a young Robin Williams perform stand-up, Letterman quipped, “It was like he could fly.” Williams’s boundless energy, lightning wit, and knack for comedic characters sparked a career on stage and screen unlike any other, making him one of the most beloved stars in modern entertainment. Marina Zenovich carefully collects a trove of intimate archival material and new interviews with Williams’s confidants (including Pam Dawber and Billy Crystal) to summon an intricate portrait of a man who needed an audience just as much as audiences needed someone like him. Hilarious outtakes from Mork & Mindy and Williams’s films illustrate his legendary spontaneity and seemingly effortless humor, but also that his line between stage and life looked, at times, to be perilously thin. Outlandish and unpredictable, Williams gave his all to famously energetic performances that seemed to defy physics. The source of Williams’s comedy was everyday life, and this documentary highlights both his ability to touch so many people and how he earned his place as one of the funniest actors of his generation. The film was directed by Marina Zenovich and it will premiere on HBO on June 16th. This is a doc you don't want to miss! Wonderful Trailer For the Mr. Rogers Documentary WON'T YOU BE MY NEIGHBOR?